To block brain drain and enrich economies, more universities are linking up in creative entrepreneurial initiatives. For more on this year's top college entrepreneurship programs, click here. Ask a local in a college town what the ivory tower has done for their economy lately, and they might point to some hip bars, a thriving pizza joint and a sweat shirt shop. But a growing number of colleges are working with their cities to foster a local entrepreneurial spirit that will develop the economy and encourage business-savvy students to stick around. From community mentoring to innovative technology transfer departments to good old-fashioned inspiration, here are 10 examples of how institutions of higher ed are collaborating with their communities to spread the small-business bug. University of Wisconsin-Madison and Madison, Wis.
At many universities, entrepreneurial programs are confined to one slice of campus. At UW-Madison, the entrepreneurial spirit is widely distributed. "We combine classroom learning with a hands-on applied component," says Dan Olszewski, director of UW's Weinert Center for Entrepreneurship. MBA students work with local companies, local business leaders speak on campus, and entrepreneur boot camps are frequent. But UW has fostered entrepreneurship primarily through its world-class University Research Park. Founded 25 years ago, the 255-acre plot houses 4,000 well-educated, high-wage employees at more than 150 companies that started as campus spinoffs. The park is such a success that in August, the university signed a lease for Research Park II, a 270-acre development on the outskirts of town. "We understand the importance of entrepreneurship in helping us to continue to grow as a country and region," Olszewski says. Madison has done a bang-up job of attracting biotech companies to its research park, but a few years ago the university realized it needed to encourage business development from its computer science program and a growing crop of student entrepreneurs in need of space outside their dorm rooms. So the University Research Park bought the abandoned Gisholt Machine Co. in a funky neighborhood in downtown Madison and rehabbed it into a 6,000-square-foot, 10-suite Metro Innovation Center. It installed a broadband pipe and a kiosk with direct access to the UW library, and planted a server farm in the basement. So far, two local internet firms and two student businesses have moved in. Once occupancy reaches 80 percent, the university will create studios on the second floor for artists and other creatives. "Internet companies can go almost anywhere," says Mark Bugher, director of the UW Research Park. "We want companies that will employ our computer science graduates and benefit the community." 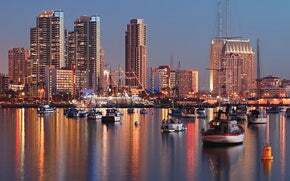 San Diego has long been an innovation base for biotech and telecom. But the community realized a few years ago that it needed more business sense to bring all the ideas to market. "The community wanted UCSD to act as a mechanism to create companies and jobs," says Dean Robert Sullivan, who helped launch UCSD's Rady School of Management to that end six years ago. More than 40 percent of Rady's entering MBA students have advanced degrees. Their aim is to develop their ideas into workable companies. "Critics wondered if people with strong scientific backgrounds could be leaders," Sullivan says. "We've found they are successful individuals who can walk and chew gum at the same time." Last year, Rady launched technical assistance and consulting services, sending students and faculty to perform "stress tests" on local companies. "We're here because the community wanted us and insisted on it," Sullivan says. "We're a startup ourselves." 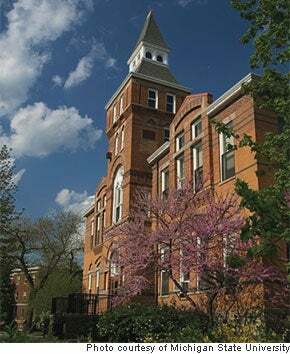 Howard University learned early on that being an entrepreneur is an attitude--a way of seeing things that can be applied to other aspects of life. "Even if entrepreneurial students decide to go and work for someone else, they've still learned to be innovative and creative in how they get the job done," says Johnetta Hardy, director of the school's Institute for Entrepreneurship, Leadership and Innovation. Each year at orientation, all 1,700 freshmen participate in an entrepreneurial boot camp that emphasizes how entrepreneurship has benefited the black community. Howard also offers no-fee business coaching and the GADGET Center, which offers resources and mentoring for businesses in the university's main commercial district, Georgia Avenue. Howard University has promoted entrepreneurship so heavily that it has small-business hopefuls waiting in line. Every other Friday, the Institute for Entrepreneurship, Leadership and Innovation hosts Black Marketplace, where entrepreneurs market their products or services to the campus and community--and there's a long waiting list for the roughly 12 spots. Students sell everything from jewelry to business coaching. "Students can apply theoretic learning to real-life business situations," says Johnetta Hardy, director of the institute. And they can make some cash--some have brought in more than $900 in an afternoon. Hardy is bringing Black Marketplace to the web and starting similar projects at other black colleges. She points to one student who has started 13 different small businesses. "He came from a place with no money, and now he's paying for his education through his businesses," Hardy says. "We make a difference in the community by changing people's perspectives, and creating wealth along the way." Michigan State University and East Lansing, Mich. In economically hard-hit Michigan, there's at least one thing going right: Michigan State University is pulling no punches in an effort to create and incubate new local business ventures. The MSU Product Center for Agricultural and Natural Resources is commercializing new food manufacturers. The Lansing Area Economic Partnership is working with MSU-bred startups to find resources to keep them in the community. The Prima Civitas Foundation, partly funded by MSU, is working to bring biotech and alternative energy projects to central Michigan. MSU Technologies is a tech transfer office on steroids and--along with MSU Business Connect, which links businesses with local resources--is the anchor tenant in East Lansing's new Technology Innovation Center. "The synergy between these initiatives is helping to improve the culture of innovation in the community," says Tim Dempsey, director of planning and community development for East Lansing. This is a community doing everything possible to jumpstart a new entrepreneurial vision for itself, and the university is its key power source. There are technology transfer offices in most universities, but many are understaffed and have a difficult time dealing with the flood of patent applications they need to file. Thinking deeply about how to commercialize research gets pushed off to the side. But MSU Technologies, a ramped-up tech transfer concept, is trying to change the way science makes it to the marketplace. "We have to sell the faculty on working with us. They're out there teaching and researching, and we have to present commercialization in a way that matters to them," says Michael Poterala, director of MSU Technologies. "We also have to develop trusting relationships with licensees and companies." The group's 17 employees comb through university research, assessing ideas for commercial viability. If a concept has legs, they work with researchers to start moving it into the manufacturing or startup phase, working with local and regional development agencies to try and keep the startups in Michigan. So far, it's paying dividends, with several high-tech spinoffs setting up offices in the region. "We were the first of the land grant institutions, which have a mission of benefitting the public," Poterala says. "That's a mission that we and most people at MSU take seriously." Chicago small business hopefuls aren't at a loss for advice, with six resident world-class institutions offering entrepreneurship programs. 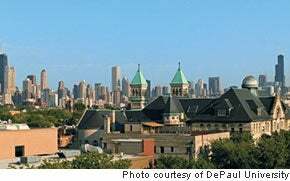 But DePaul's Coleman Center prides itself on being the most accessible. "I can't tell you how many business owners overlook universities," says Raman Chadha, director of the Coleman Center, which aims to make business owners smarter operators and help them refine their plans. It offers a popular slate of fee-for-service options, including round tables where owners in various stages of development help one another work through problems. Coleman's specialized seminars have been hits too, covering unusual topics like prepping a business to pass it on to heirs and creating an advisory board. "DePaul has very strong community orientation, and service is our mission," Chadha says. "The Coleman Center fits right into the university's sweet spot." After getting his MBA and starting staffing company Illuma in 2004, Adam Robinson turned to the Coleman Center when he found himself in a bind. Now he sits on the center's advisory board. What problems were you having? In the beginning things were humming. In Year One, we did $1.1 million, and by Year Three, it was $3.8 million. But as a first-time business owner, I was not exactly sure what I was doing. Everyone wings the operational aspects unless they've done it before. Cash flow was an issue. What did Coleman do for you? They put eight business owners in a room for a facilitated conversation. I could learn more in one meeting than in four years of formal learning. Access to peers and academics kept me from rookie mistakes, which is huge. It cut my failure rate and increased my growth rate. And what about the cash flow? In my previous model, I'd provide service for 30 days, invoice, then collect 60 to 90 days later, which often left me short. To solve that problem, we charged less but were paid before the work. There was substantially greater positive cash flow. That peer learning gave me confidence that I wasn't crazy in asking customers to pay 100 percent in advance. 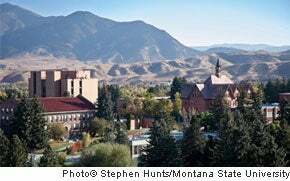 Montana State University and Bozeman, Mont. For many, moving west means facing the Montana Compromise: You can live in one of the most beautiful areas of the country, but you'll have to write off any thoughts of a livable income. Bozeman and MSU are working to overcome that. The university, through its Center for Entrepreneurship for the New West, is tapping into the state's independent streak: Montana has one of the largest shares of small businesses and self-employed people in the nation. Since it was founded in 2001, the facility's students have provided 10,000 hours of consulting advice to 40 local companies, says center director Scott Bryant. The center's efforts haven't yet stemmed the brain drain--roughly half of MSU students still follow their careers out of state. But Bozeman is rapidly solidifying its place as the entrepreneurial hotbed of the Northern Rockies in hopes that its homespun entrepreneurs can live in Big Sky Country and still make the mortgage payment. Thirty years ago, Montana State University had the foresight to set aside 90 acres of land as a technology park to help commercialize the university's research. But spinoff companies were few and far between. So the MSU Foundation funded an independent incubator--TechRanch, which launched in 2000--to help get things in gear. The foundation made TechRanch independent of the university to keep it nimble, and to bring in fresh leadership. "They felt it was better to have an entrepreneur running the show as opposed to an academician," says John O'Donnell, executive director of TechRanch. That freedom has allowed TechRanch to fast-track companies based on university research and fund startups that come to it from outside the ivory tower, helping set the foundation for a vibrant tech economy in a mountain paradise. "Kids that grow up on farms and ranches work hard. When something breaks, they don't call a committee or a consultant--they fix the problem," O'Donnell says. "With the internet, MSU and TechRanch programs, people here can have their cake and eat it too. There's an amazing quality of life--and a shot at swinging for the fences." 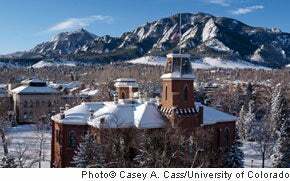 University of Colorado at Boulder and Boulder, Colo. In the early '90s, this area had a prevalence of federal labs and a heavily wired location with a high density of people with software expertise," says Brad Bernthal, an advisor for the Silicon Flatirons entrepreneurship group. "Those ingredients allowed Boulder to take off." But the community and the university recognized that they needed a strong backbone to support fledgling businesses. They developed a university-led infrastructure, including a monthly meet-up hosted by Silicon Flatirons that serves as the nerve center for the Boulder tech scene. The Deming Center for Entrepreneurship at the university's Leeds School of Business hosts cleantech and greentech networking events. A new focus on teaching entrepreneurship to engineering students is part of the effort to help persuade startups to stick around. Says Bernthal, "In five years, I see this scene in the top three nationally, and on a short list internationally as the best place to start a tech company." Jason Mendelson is a venture capitalist with Foundry Group in Boulder and serves on the Deming Center's advisory board. What does Boulder have that other universities don't? Boulder is uniquely situated in having a great entrepreneurial scene where people want things to be better. Everyone feels they own the success and failures if they don't do a good job helping one another. Is the university an integral part of the entrepreneurial scene? We haven't found anybody who wasn't incredibly impressed with what the university is doing. Any time entrepreneur groups have asked the university for help, they always get a yes. My hope is that the entrepreneur spirit and ecosystem is expanded to younger and younger people. 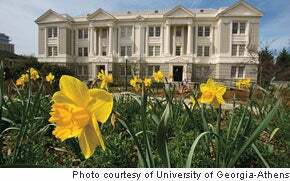 University of Georgia-Athens and Athens, Ga. Many entrepreneurship programs flaunt their success by pointing out the number of degrees they award or the number of business owners who attend lectures. At UGA, only one number matters. "We are singularly focused on launching businesses," says Chris Hanks, director of the university's Terry College of Business. "We want to know-are they producing revenue, and what kind of impact are they having on the community?" Students in Hank's undergraduate class and all MBA students are required to launch a revenue-producing business. The university also promotes campus-wide participation with programs like "UGA's Next Top Entrepreneur," an American Idol-style competition with an angel-funding payoff. But some of the greatest effects are being made off campus: Hanks and his staff travel throughout Georgia providing low-cost advice to entrepreneurs through programs such as UGA Startups and a yearlong "Mastering Entrepreneurship" program that explains entrepreneurialism from soup to nuts. Inspiring people to launch new ventures is Hanks' singular goal. "I always ask myself, 'What can we do best?' That's launch businesses," Hanks says. "As long as I have influence, that will remain the focus at UGA." The bistros, located on college campuses, will focus on connecting students to one another through video chat and other applications to promote real-time dialogue on issues. Each restaurant will be managed by qualified owner/operators selected by Goodwill Industries or other agencies and will employ "traditionally unemployable people." The cafes will offer organic and locally grown food, creating a conduit for local farmers to get their produce to market and entice young people away from fast food. Students on the project will get experience setting up and running a business. The plan is to put Blue Earth Bistros on campuses around the country and world. 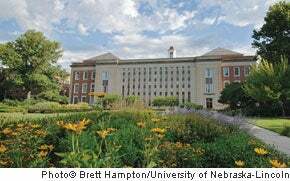 University of Nebraska-Lincoln and Lincoln, Neb. 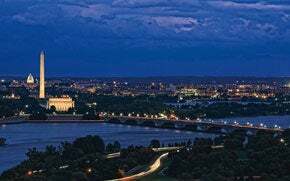 In a geographically large state with a low population and high cow concentration, institutions must work overtime to reach citizens. "At UNL, we feel strongly about supporting all Nebraskans," says Kathleen Thornton, associate director of the Nebraska Center for Entrepreneurship. "That means across the board, not just our students. Outreach is a vital component." To that end, UNL serves as a hub for entrepreneurial activity, hosting events like the Nebraska Summit on Entrepreneurship; The Heartland Conference on Free Enterprise, which focuses on the rural economy; and the New Ventures Competition, which brings student entrepreneurs from around the world to Lincoln to compete for seed money. But its biggest impact might be through simply introducing students to the concept of entrepreneurship. "We'll do an entire day of speakers at the journalism school," Thornton says. "We'll tell those students, many of whom will stay in Nebraska, how to take that journalism degree and start a business for themselves." Lincoln Mayor Chris Beutler explains how the university has shaped his city and served as an important source of economic development. What's the biggest impact the university has made? In the last four or five years, the university has been emphasizing federal research grants. Increased capacity to do research creates a spinoff effect. We need to accentuate the creative and rely more and more on education and partnerships, especially in an economy that's not favoring manufacturing. I hear you kicked the state fair out of town. What's the deal? We said we'd let the historic state fair go to a new city if the legislature would let us have that land for a new innovation campus. Now that land is designed to take university research and evolve it through various stages of development. What other economic developments are you working on? The university is supporting Turbine Flats, where entrepreneurs can get office space. It's an effort to encourage tech entrepreneurs to stay in Lincoln.